Those with chronic NCDs require care and medicines too often inadequately accessible or affordable. To address the increasing burden of NCDs, health systems need to be strengthened and the delivery of care in primary health care settings should be part of a highly integrated approach. Health system strengthening requires attention to governance and policy, health service delivery, health workforce, information systems, essential medicines and technology and financing. Strengthening health systems and achieving the 25 by 25 target also demands improvements not only in the building blocks of health systems, but also in the underlying social and economic determinants of health. 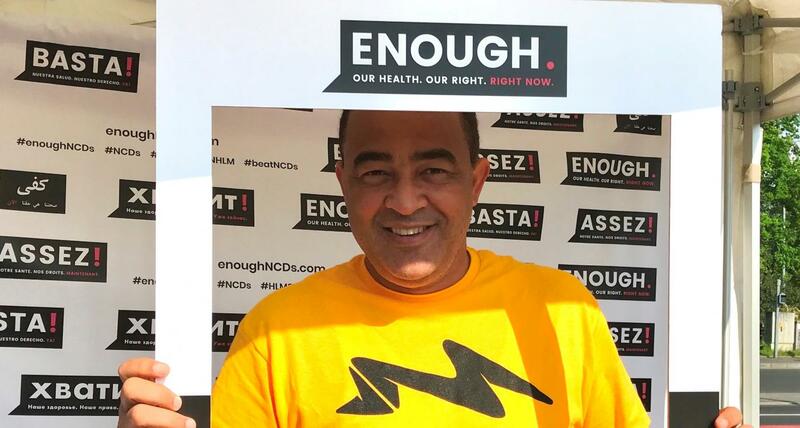 Millions of people with NCDs in low- and middle-income countries (LMICs) are dying prematurely or suffering life-threatening complications because they cannot access affordable and essential NCD medicines and technologies. Due to their chronic and sometimes life-long nature, NCDs demand a responsive, person-centred health system. People living with NCDs often have multiple interactions with the health system over long periods and may require disability management, such as rehabilitation, and long-term care. Access to essential medicines and technologies is a vital component of chronic-disease management, and in many LMICs, availability and access is inadequate, with large disparities persisting between and within countries. Many of these life saving medicines, such as aspirin and metformin, are proven to work and cost just cents to produce. We have the medicines and technologies to save lives, but access and availability are often hindered as a result of underdeveloped national health infrastructures and financing systems, poor management of supply chains, fragmentation between the public and private sectors, and lack of translation of international guidelines at national levels. While over 94% of all countries surveyed by the WHO indicate having a dedicated branch or unit for NCDs within the ministry of health, ensuring adequate, sustained funding for NCD activities in-country is a persistent weakness in the NCD response. Some countries are successfully implementing fiscal interventions, including taxation of tobacco, alcohol, and other harmful products, in order to increase revenues for health delivery. This “triple win” strategy also serves to reduce exposure to risk factors and improve overall health outcomes. And while country action is necessary to secure resources for health systems, international development assistance is an indispensable part of improving health system responses to NCDs. Recent data show that less than 3% of the $22 billion USD in development assistance for health (DAH) provided by donors to LMICs is spent on NCDs, despite the overwhelming burden in these countries and requests from LMICs for increased support. A recent survey showed that less than 3% of the 22 billion USD spent on health by international aid agencies in LMICs is spent on NCDs, despite NCDs forming 60% of the burden of disease in those countries. International aid agencies must listen to governments in LMICs who are saying loud and clear that they need both financial and technical assistance to turn around the NCD epidemic that threatens to undo development gains. Financial-risk protection mechanisms are in place to ensure the cost of using care does not put people at risk of financial hardship. The NCD epidemic poses unique challenges to the three dimensions of UHC. Access and availability to essential NCD services remains unacceptably low in many LMICS; major inequalities exist in terms of NCD risk, access to services, and health outcomes; and the epidemic imposes a tremendous economic burden on national budgets and can push households into poverty. The NCD Alliance policy brief analyses the synergies and barriers for NCDs and UHC, as well as providing policy measures to ensure that UHC directly contributes to improving NCD prevention and control. Our Views, Our Voices consultation now open! To identify common issues faced and to understand how people living with NCDs would like to be meaningfully involved in the NCD response, we are consulting them until the 31st of August.